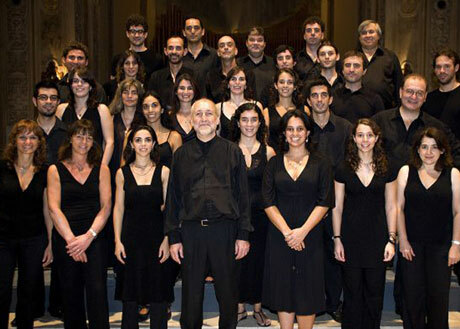 Directed since 1973 by its founder Néstor Andrenacci, GCC-Grupo de Canto Coral is a chamber choir dedicated to all types of choral music, including contemporary compositions, some written specially for the group. It has performed in the most important venues in its native Argentina, as well as in Belgium, Brazil, Canada, Chile, Denmark, France, Germany, Mexico, Spain, Sweden, Switzerland, the United Kingdom and Uruguay. GCC has been awarded a number of prizes for performances in Argentina and abroad. The group has made ten very fine recordings: Argentine choral music and colonial music of Hispanic America for example and also “Un Réquiem Alemán” (“A German Requiem”) by Johannes Brahms (London Version). In April 2009, with the Orchestre des Champs-Élysées under the direction of Philippe Herreweghe, the group performed the Argentine première of Hector Berlioz’s “Lelio,” Op. 14b. Since 1987, GCC has been a regular performer in concert series presented by the Bach Academy of Buenos Aires.